The majority of my patients come to me because they are seeking improved health and understand that my approach is through the ‘Healthy Trinity’ consisting of Nutrition, Exercise, and the 3R’s. However, it is still fairly common that, when I mention and describe the Paleo Diet, patients change their expression. Yes, I get that a lot. I spend a fair amount of time explaining to them the benefits of reducing gluten as it is probably the most common offender for causing a number of gut and health problems. 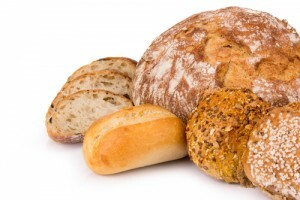 There are certainly others but gluten is the most noxious and common culprit. Also, every single person is different in their physical makeup and tolerance. Some people really do tolerate gluten and don’t seem to have any issues. Some people can drink milk or eat cheese and it doesn’t bother them at all while others have horrific issues with even the smallest amount of dairy. The same is true for the legumes as well. I’m not a ‘Paleo Nazi’ and, to be honest, couldn’t care less if someone is ‘Paleo’ or not. However, there is a method to the madness and most people feel better, look better, and perform better on this type of nutritional approach. The first component is basically getting in the right amounts of macro & micronutrients. Giving your body the fuel and building blocks it needs to do what it needs to accomplish. This is where most dietitians and nutritionists focus the vast majority of their time and efforts but that is where it stops. The 2nd component is largely ignored by our nutrition ‘experts’ and can result in countless medical, appearance, and performance problems. This is one of the major benefits to the Paleo Diet. This is where the whole “don’t eat wheat stuff” comes from. Grains, legumes, and dairy can cause a tremendous amount of gut irritation and inflammation resulting in a whole host of disorders. However, everybody is different and tolerates things (irritating foods) at different levels. Thus, the nutritional approach needs to be tailored for each individual patient. We have to have a starting point and that is where the Paleo Diet shines. The Paleo Diet won’t remove every irritating substance from your food but it will get most of them for over 80% of the patients. We can’t remove milk from the diet and say that it isn’t a problem for you when you don’t notice any difference since the wheat may be a bigger problem. You may find that removing milk made no difference. But if you remove both wheat and milk and let your gut repair you may find that adding milk back in causes a problem. You might also find that the real problem with a particular food has nothing to do with the gut (or so it may seem) – such as an outbreak of acne, mental fatigue, physical fatigue, muscle aches, arthritis, etc. The idea is that we remove offending foods to let your gut heal. Given the response I mentioned at the beginning of this post it seems that many people are ‘addicted’ to certain foods. I see that a lot too. Some patients readily admit that they are addicted to food. The pleasure center in the brain is triggered with certain foods (primarily carbs) in the exact same way, though at a lesser intensity, as cocaine, heroine, morphine, etc. You may not think that eliminating certain foods is worth it. Well, we have a possible solution for that issue also. There are several labs such as ALCAT, Metametrix, etc that will test for foods allergies or sensitivities but they can be expensive. For example, the ‘Platinum Comprehensive’ test from ALCAT is $1099. I’d rather see what we can discover by eliminating certain foods for free. If that doesn’t work then we’ll check some labs and see where we need to focus. For those that don’t want to make any dietary changes… I believe you are choosing a life of disease. In the words of Humphrey Bogard “maybe not today, maybe not tomorrow but soon and for the rest of our lives.” It will catch up with you at some point. Again, it may not be worth it to you to cut out certain foods or make dietary changes. That is clearly your choice and I support your freedom to choose. When you get to the point that you feel bad enough, your health is deteriorating enough, or your performance is declining then it may become worth it. At that point, y0u should give the Paleo Diet a try. Do it for 30 days and see how you feel. If you don’t feel, look, or perform better then I wouldn’t waste my time. That is rarely the case. Give it a try. Its free and it can’t hurt you!